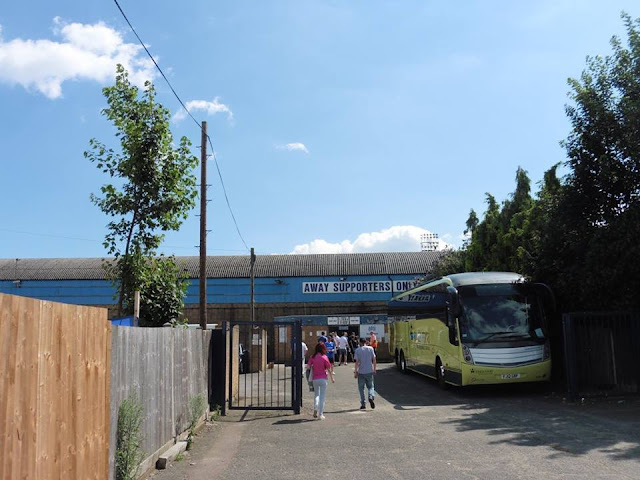 I have been to Roots Hall now on a number of occasions. The first time I did go was in 2007 when it was just an absolute awful day. Hardly had a shot, and Gillingham lost 3-0 which saw the reign of Ronnie Jepson's time as Gillingham boss come to an end after he resigned which I was happy with. 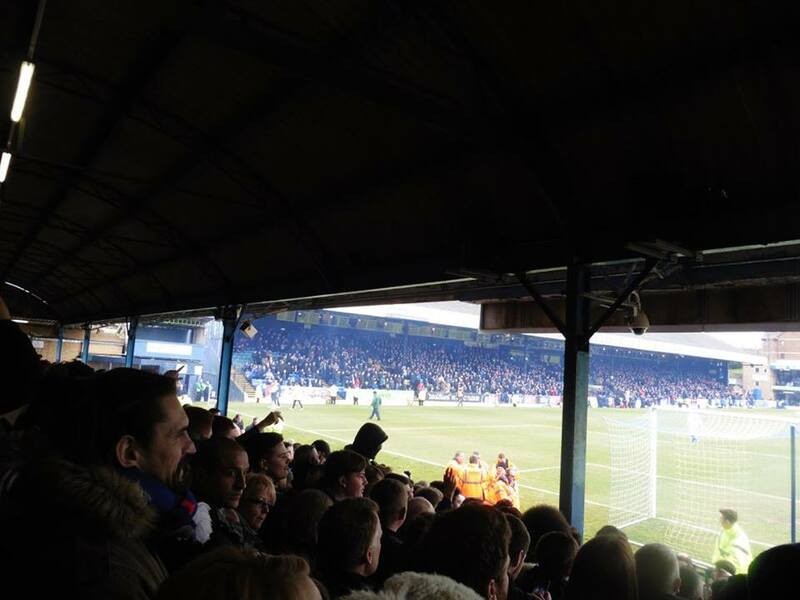 The last time I visited Roots Hall was back in 2013 on New Year's Day with a 1-0 win from Chris 'Whelpy' Whelpdale, not a bad way to kick off 2013! I remember the day well, I got a lift up from my dad's mate, stopped off at a local Harvester on the way and had a lovely breakfast and I think they didn't even charge me and my mate which was actually quite funny haha. 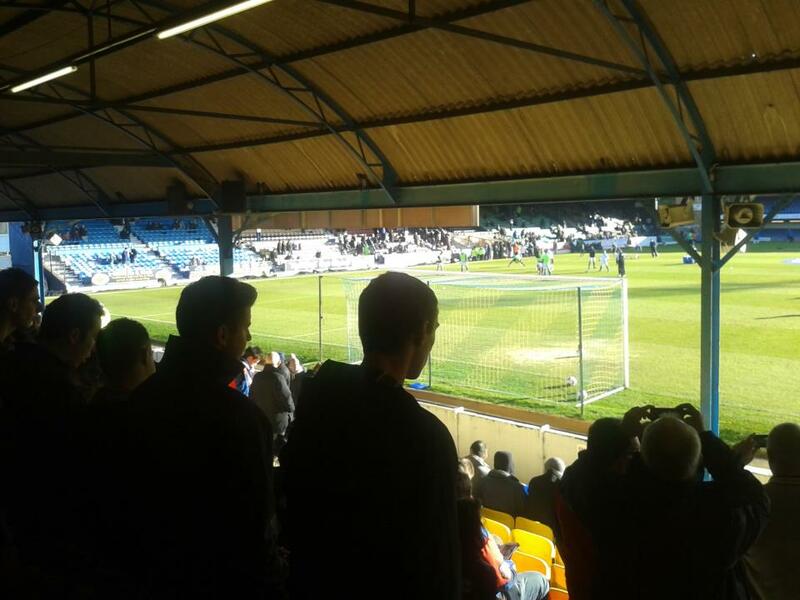 Roots Hall the ground itself isn't one of my favourable grounds, having to duck at times and not enough leg room doesn't help matters either, but it is quite a good away day due to it being local, usually do take a lot of fans there anyway. Well it was my 5th trip back to Roots Hall, I'm not usually a fan of Roots Hall myself, but I was looking forward to going back to Southend. 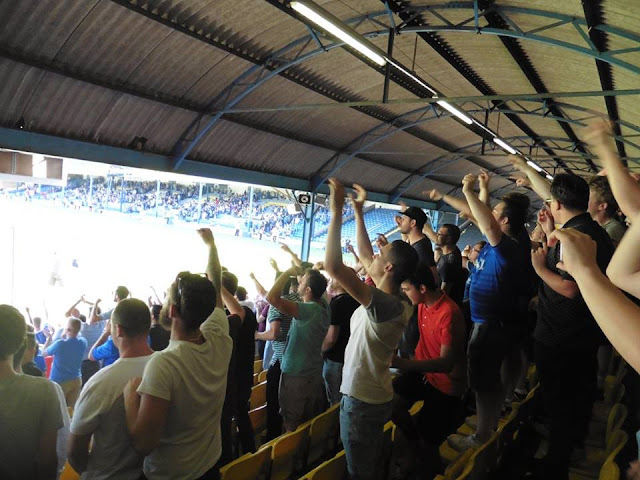 Before the game as the club was promoting the game before Crewe at home the week before (think the club forgot about Crewe at home to start off with but yeah) and leading up to the game, we sold just under 2000 tickets which was quite impressive. Anyway, I decided to do a weekend in Essex as my girlfriend has family living over in Essex so thought why not do a weekend there? Anyway, left home around half 8 in the morning and pulled into Grays station just before 11 and saw my girlfriend's family for a little while before heading off to Southend. Left Grays around 1 and got into Southend just before 2. Didn't rush too much due to having a bit of time on my hands but probably made the wrong decision. Got to the ground with the away end fairly packed, but luckily got a good seat and most Gills fans stood which was good to see. 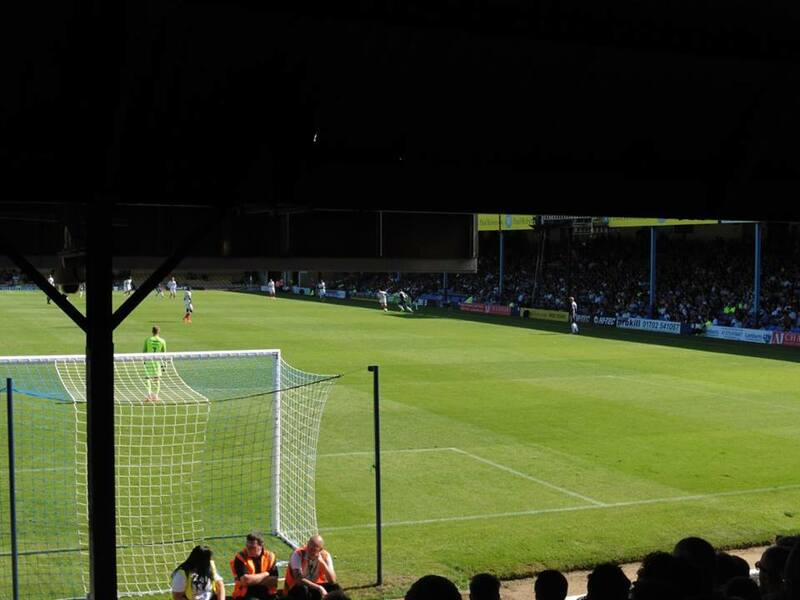 The game itself, probably a fair result in the end, Southend had chances, so did we, delighted with a point, a decent day in all. Got back to Southend only to miss my train back to Grays, so had a half an hour wait. Popped to the nearest off license to get a cider for the journey back, and got back to Grays around half 6. Stayed over and got back to Kent next day. Overall a decent weekend in Essex and a decent point. Wow, just wow. 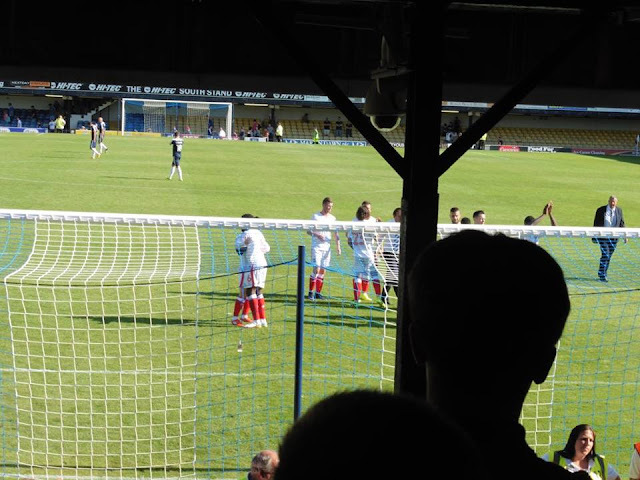 I'll explain why in just a second, but my 7th visit to Roots Hall was of course the start of the 2016/17 season, and the day itself I wasn't expecting personally. Anyway my 7th visit started off by leaving home around half 10am getting a lift with my dad and a couple of his mates. Probably a good job we left around then anyway, as due to traffic problems after the Dartford Crossing, we eventually got to Southend around quarter to 1 on a scorching day. Anyway we got to Southend and we went into the Harvester, had a quick bite to eat and one of my favourite ciders, Rekordolig before heading off. Anyway, parked the car up in a local car park and then walked to the ground, around a 10 minute walk. Anyway after discovering the day before that we signed Jay Emmanuel-Thomas on loan from QPR for the season, I was quite excited on seeing him play for us, mainly due to seeing him rip us apart the previous season for Bristol City and watching them play 4 times due to Gillingham being drawn with them in the League Cup and JPT. 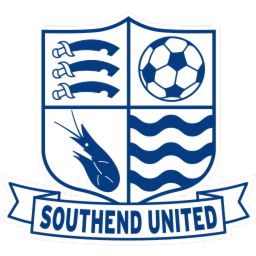 Anyway, I was still shocked that we signed Emmanuel-Thomas on loan, but fair play to our chairman Paul Scally and Manager Justin Edinburgh for pulling it off. Anyway, what a game it was to watch. We went 1-0 down after 23 minutes as Stephen McLaughlin scored to put them in front, which I felt wasn't the greatest of shots and probably Stuart Nelson should have done better. 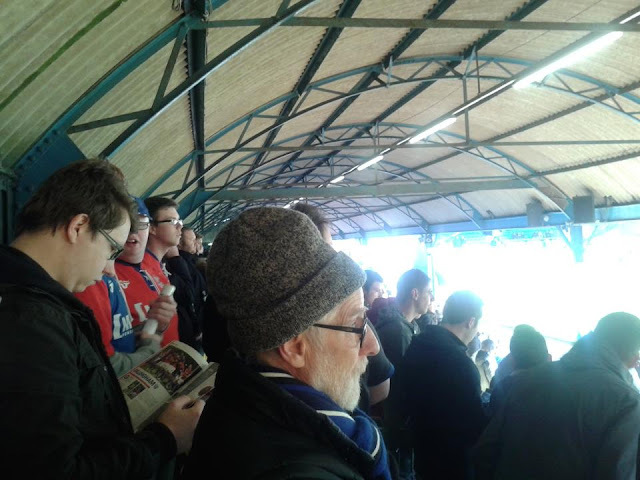 But a few minutes before half time, it was of course the man I was excited to see pull on a Gills shirt, Emmanuel-Thomas equalise for us to level it for us and take it to 1-1 at half time. 2nd half started and boy what a half. 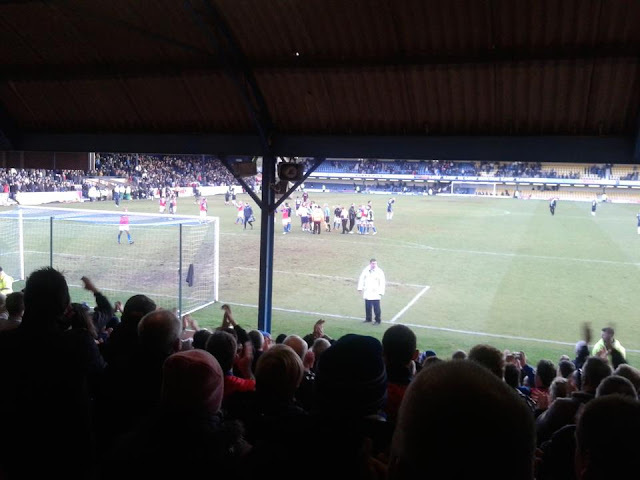 Max Ehmer's header and Emmanuel Osadebe's cool finish gifting us our first win of the season, and no doubt one of the best 2nd half performances I've watched Gillingham in a long time. A deserved win and roll on Tuesday in the Cup. As my 7th visit came to a close, of course we got drawn with Southend away once again 3 days later in the EFL Cup. 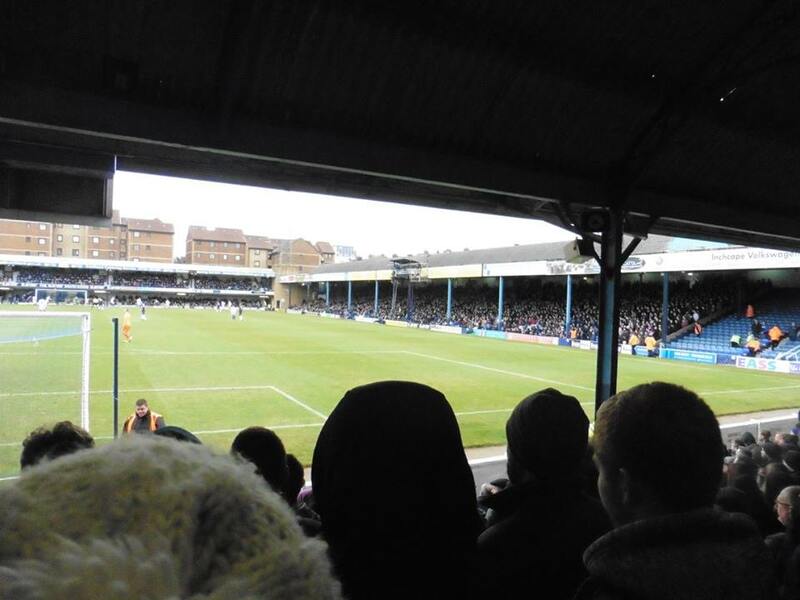 I decided to go again really for 2 reasons, 1 because my girlfriend has family in Essex and it was only about half an hour on the train from Grays to Southend and 2, it's a bit of football, so can't really turn it down haha. My 2nd visit to Roots Hall in a space of 3 days started off as I left home around half 10 on the train before getting into Grays just before 1pm. After seeing my other half's family for a little bit and a bit of shopping round Lakeside, we left Grays around 5pm. Due to the trains mucking about as we thought we could get a straight train from Grays to Southend (usually can) only way to get there was a train to Pitsea, and then a train to Southend. 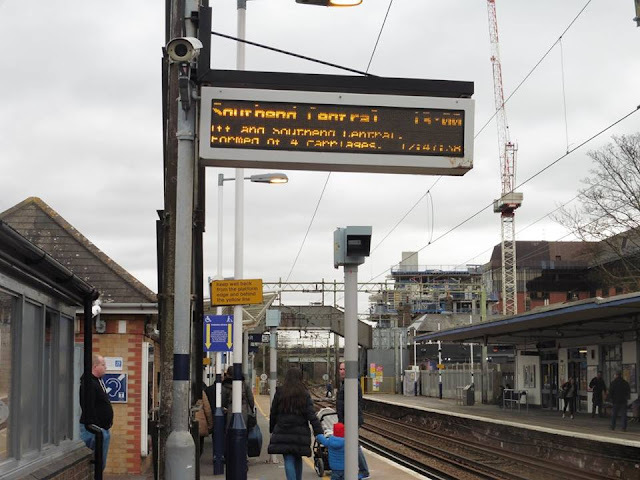 So anyway after doing that, we eventually got to Southend Central around 10 to 7, before heading to the Travelodge which only took around a 5 minute walk. 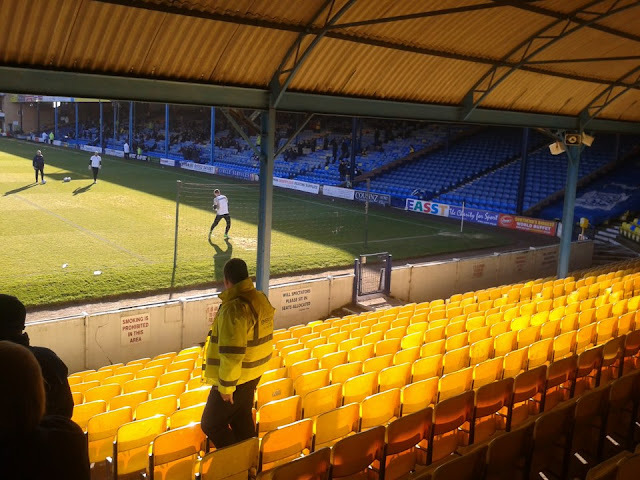 A quick check in, and then headed to the ground and got in around half 7. Anyway onto the game itself, it was pretty similar to Saturday wise, we were behind once again to another Stephen McLaughlin goal, but this time a bit longer, but only 12 minutes longer. Anyway this time round we were 1-0 down which I felt we were unfortunate, plus the linesman and ref didn't really help either. Anyway 2nd half, we equalised through Cody McDonald who I felt has probably lacked confidence lately, so was nice to see him score a goal and hopefully more to come. 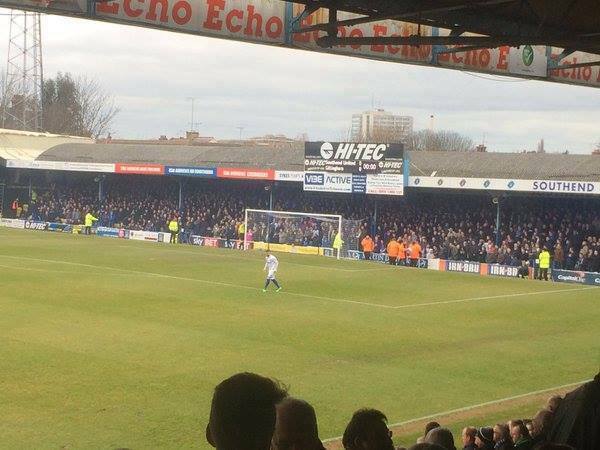 After it stayed 1-1 for a bit longer and of course Justin Edinburgh threw on JET, and boy once again he did not disappoint. 2 great goals from him, saw us once again see us win 3-1 at Roots Hall in a space of 3 days. A great night! After the game, walked back to the Travelodge, grabbed a take away and just chilled. Next day, left Essex itself around 6 and got back to Kent just after 9pm. Not a bad way to start the season! 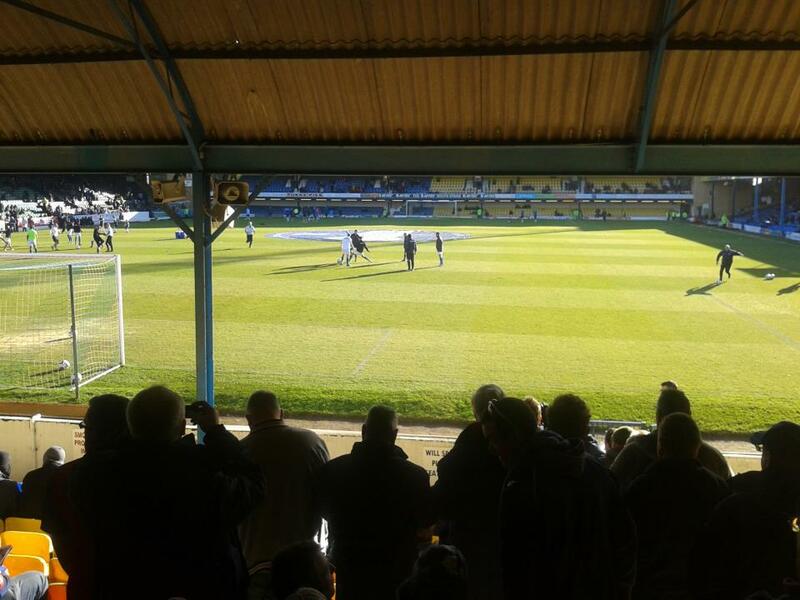 An enjoyable 2 visits to Roots Hall to say at the least!